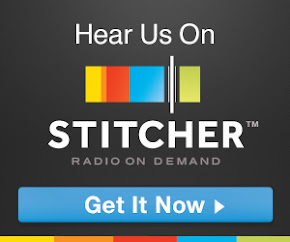 The Social Work Podcast: Shared Trauma: Interview with Carol Tosone, Ph.D. Shared Trauma: Interview with Carol Tosone, Ph.D.
[Episode 91] Today's episode of the Social Work Podcast is about shared trauma, one in which the provider and client experienced the same traumatic event simultaneously. If you're not familiar with the concept of shared trauma, no worries. It is a relatively new concept, but one that has been experienced as long as there have been helpers and... helpees. In order to better understand shared trauma, I spoke with Dr. Carol Tosone, one of a handful of scholars whose writings and research have defined shared trauma. Dr. Tosone is Associate Professor at New York University Silver School of Social Work. She is a Distinguished Scholar in Social Work in the National Academies of Practice in Washington, D.C. In today's episode, Dr. Tosone unpacks the concept of shared trauma. She uses her personal experience of being in a therapy session on September 11, 2001, when the first plane flew over her building, and how sharing the trauma of 9/11 with her client affected her professional and personal life. During our conversation she answered many questions: How does a concurrent experience of the same traumatic event as your client affect the treatment relationship? In what ways is it beneficial to the treatment relationship? How do you know when it is detrimental? We end our conversation with recommendations for practitioners. Melanie Sage: This is Dr. Melanie Sage. I'm filling in for Jonathan Singer who lost his voice this morning and was unable to record the introduction to today's episode. He said I could tell you to check out my new podcast - childwelfarepodcast.com. This is Episode 91. Today's episode of the Social Work Podcast is about shared trauma. If you're not familiar with the concept of shared trauma, no worries. It is a relatively new concept, but one that has been experienced as long as there have been helpers and... helpees. Trauma is usually understood to be something that is emotionally painful, distressing, and overwhelms a person's ability to cope. Judith Herman, in her classic text "Trauma and Recovery" noted that “Traumatic events are extraordinary, not because they occur rarely, but rather because they overwhelm the ordinary human adaptations to life” (Herman, 1997, p. 33) We often associate trauma with the person who experiences the adverse event, such as survivors of abuse, military veterans, or victims of hate crimes. There is also historical trauma, which "refers to cumulative emotional and psychological wounding, exceeding over an individual lifespan and across generations, caused by significant group traumatic experiences" Examples of peoples or populations that have experienced historical trauma include First Nations People, and children of Holocaust survivors. Social workers are also familiar with secondary trauma, which is when a provider experiences trauma symptoms as a result of working with someone who has been traumatized. In secondary trauma the worker takes on the trauma of the client. Today's episode is about a relatively new understanding of trauma - one in which the provider and client experienced the same traumatic event simultaneously. Think, 9/11 or working in a war zone, or many many other situations. After listening to this episode, you'll be able to identify events where shared trauma might have occured. Don't forget to check out my podcast at childwelfarepodcast.com. And now, without further ado, on to Episode 91 of the Social Work Podcast. Shared Trauma: An Interview with Carol Tosone. Jonathan Singer: Carol, thanks so much for being here on the social work podcast talking about shared trauma. The first question is: what’s the difference between primary trauma, secondary trauma, and shared trauma? Carol Tosone: Well, what’s interesting is that shared trauma incorporates aspects of both Primary and Secondary Trauma but yet it's qualitatively different from both. So, Primary Trauma is, let's say you were involved in 9/11, you were directly impacted, that's Primary Trauma. If you're working with a client who was exposed to 9/11 themselves and you’re hearing their narrative of the trauma, then that's Secondary Trauma. But what happens if both you and the client were simultaneously exposed to the same collective trauma, that's Shared Trauma. So in other words, you both know it in a very personal upfront way as well as in a secondary indirect way. Jonathan Singer: Because you were saying that you were in your office during 9/11 with a client when the planes flew overhead, right? Carol Tosone: Absolutely, that really spurred my interest in Shared Trauma research because I was sitting with a client and typical session and the plane flew over the building and it was so loud you could barely hear my client. The windows were rattling. We had no idea what was going on and it really wasn't till the session was done and went outside. My office is close enough to the Towers that you could see everything burning it was really a horrific sight and people were going around with all kinds of theories about what had occurred and people at that point were still thinking it was somewhat of an accident but it was a very surreal experience just to witness it. Jonathan Singer: And your client, you guys left the building together? Carol Tosone: No, actually, he had left earlier and then had contacted me later just to say here's what had happened. But what was difficult is that most of my clients live and work Downtown. So I had a client working in one of the Towers. I had clients that worked nearby and they just told horrific stories of being caught in the soot and the cloud of dust going by and it's interesting because I think as clinicians we care about our clients, and if anyone would have told me I love my clients I would tell them they're crazy, I care about them professionally but when you're hearing or you're concerned that somebody might have died you truly realize how much you love that person as a person and you want to make sure they're okay. So I recall getting calls later from people and crying when they contacted me to let me know they were okay and similarly I was getting calls from clients to make sure that I was okay since I'm Downtown. So what it does is it creates a whole new level of intimacy in the transference/counter transference matrix. You know, I'm a relational theorist and a relational practitioner and I'm trained analytically and I'm very big on the egalitarian nature of the therapeutic dyad but when this happens it's a leveling experience beyond any others because you're both going through it together as human beings primarily before you're a client or a clinician. Jonathan Singer: How does sharing this traumatic experience change what happens in the therapy room? How does it change the way you relate to the client? Carol Tosone: Well now you've shared something together. So, with this particular client any reference to 9/11 we can just kind of look at one another and know, discuss it around the anniversary how it was. But what I found what was fascinating is people were busy trying to take care of me, to make sure I was okay since I was working with a lot of people who were doing that. I was doing a lot of volunteer work and so you had clients that wanted to take care of you and it's very tempting to tell them your narrative and it's very tempting to let them take care of you but you can't and that's one of the things that's very cautionary about shared trauma because you have to be careful because it really creates a more permanent kind of alteration in the boundaries between self and others, client and clinician so you have to be mindful of where things are to make sure that any self-disclosure you make is in the service of your client and not of yourself. Jonathan Singer: Which is something that certainly neophyte clinicians, new clinicians always struggle with and my assumption is that as clinicians become more seasoned and become more comfortable with use of self it becomes less of a temptation to sort of talk about yourself because it feels good. But it sounds like you're saying that when there's a shared trauma it further muddies the water because it's not necessarily I'm talking about this because I need to but if I don't talk about this or if I don't acknowledge this, if I sort of ignore that I have had this experience then it somehow is disingenuous to the therapeutic relationship. Carol Tosone: Exactly, because they'll know it's different. Let's say for instance if I'm a client and I have a history of sexual abuse now if I ask you and let's say you had a history as well it's your prerogative whether you or not you want to self-disclose it and hopefully you would make sure if you did it was in service of helping me, but I don't know, so it's guesswork. I may assume you were, I may infer, whatever, but when, but if I say to you I go through 9/11 and I know you live Downtown it's not well did you experience 9/11 I know you did and you know I did, so it becomes a level of awareness and knowledge that can't be denied and it's a shared collective experience which brings about every kind of feeling you could imagine, politically around community service and it brings up so many issues in a way that each person has an opinion and it's difficult to leave those out of the encounter. Jonathan Singer: So when you're working with a client and there is this shared trauma what are some of the things that you look out for to either say this is how we're using this shared experience helpfully and this is something where it is really making it tough to do good clinical work? Carol Tosone: Well, I think what I use as cautionary in a way is when I find talking more than my client or when I find that I'm using any excuse I can to tell my narrative of my experience, then it's really in my service. I had one client who offered to skip their session so that I can continue to do volunteer work so that they could help me out, then I knew my counter transference clearly over the top when my client is busy taking care of me. I clearly demonstrated that something was wrong or that I needed a break, so that's when you know for sure it isn't in service. But what you could do is you can use it, just like you can share you sense of something, your sense of outrage about the experience or your sense of being touched by something you saw in the community and simply use that as a jumping off point to get your client's perspective on it and inviting them into it, but the focus is on them and their experience. In other words, you're using your information but more to deepen theirs. Jonathan Singer: So we've talked a lot about 9/11 but as we're talking I'm thinking of many different kind of large scale disasters or crises where this shared trauma might actually be an experience that therapists and clients have. I am thinking of natural disasters, tsunamis, but also a lot of the school shootings that we’ve heard about lately where you have school staff who are in the building and they might not be the Social Workers but there's a shared trauma there also. Carol Tosone: Right and that's a great example because what happens is if you are so primarily traumatized you really can't help others until you help yourself. I did two studies one in regard to the long term impact of 9/11 on clinicians and as well as the long term impact of Hurricane Katrina for clinicians practicing in New Orleans and what's fascinating is that we're helpers. Social Workers are helpers. So when something happens we immediately want to take the helplessness of that situation and jump into action so we we're going to help other people because that's what we do, we're do-gooders, we're doers, but for some people that helped them process the trauma. It helped them feel like some sense of self efficacy in the face of this overwhelming helplessness. But for others they were too traumatized and they really didn't have the emotional resources to help someone else and what we say to people is it's okay if you feel that, you can't help somebody until you feel that you're in a good place and we have to keep in mind that everybody's individual responses to the primary nature of the trauma that they've experienced so if you can help others and that nourishes you too, great then have that approach but if you feel too overwhelmed don't. In New Orleans for instance there were some clinicians that they lost their homes. They were trying to get grounded in the same instance their agencies were expecting them to be working overtime. Some people reported a lot of resentment, because how can you take care of others unless you take care of your own or you know your family is settled before you're helping somebody making sure theirs is. So you have to keep that in mind, it's a delicate balance of self and other and you have to be able to be replenished in order to help other people. Jonathan Singer: So there's this Primary Trauma and it make sense if you're a Social Worker in New Orleans and your house is gone and you're trying to deal with that, that's you're Primary Trauma, you are dealing with your traumatic experience. Carol Tosone: Which by the way it's okay to acknowledge that you were traumatized. We're very good at telling other people to get into counseling, but for ourselves we tend to not be and say okay we're not affected. Jonathan Singer: I guess I'm trying to understand the relationship between what it looks like when it's shared trauma. Does this make sense? Carol Tosone: Yes. It becomes a shared knowledge all the way along so you have the benefit of knowing how they reacted earlier. You can anticipate anniversary reactions. You can anticipate things that are coming up where other micro traumas if you will, may trigger the earlier experience. Jonathan Singer: Because you yourself are experiencing them too or it's so familiar to you that you are able to anticipate, you are able to see things. Carol Tosone: Right, exactly, but it also happens for instance in New Orleans. It was a very different experience from 9/11. Manmade disasters we know it is more difficult to overcome than any other type of disaster that's what the literature and the meta analyses show. But in the terms of the natural disaster for instance, there were people who were able to get out but their clients weren't and their clients were left behind. So when the later they're interviewing, the therapist is interviewing the client, and the client says, "Well what did you do?" and the therapist says "I was able to get out with my family and friends" and one client says, "Figures." So the guilt that the therapist experience because of the privilege and the economic ability to get away when your client can't the level of guilt, almost a survivor guilt that one experiences really complicates the situation and also you can see how socioeconomic status, race, all other things play a part and really kind of complicate it both positively and negatively, it really depends on how each dyad negotiates that sense of difference. Jonathan Singer: So from a relational perspective if there's a therapist and client that have shared this traumatic experience, New Orleans, Hurricane Katrina, and the therapist because of power and privilege was able to get out and the client wasn't, what would that do to the therapeutic relationship that might complicate it that might make it problematic where the shared trauma would actually become almost an impediment to the client getting better? Carol Tosone: I would think of it as an opportunity to address underlying issues that where there all along. So, clients can certainly tell the difference in socioeconomic status by the way we dress, by the way we speak, by a lot of factors, and so what it just does is it provides an opportunity to say, you're a have and I'm a have not and it makes sense because you were able to get away and I couldn't and I'm angry at you and your ability to do something I can't. So if you're helping me, help me out of the situation I'm in. So, it provides an opportunity to address difference in a way where it's oppressive to the person that you're working with and you become symbolic and representative of a society and the community and the culture that really is hierarchical and where they're at a disadvantage and you're not. So I view it more as an opportunity and I don't think that clinicians should shy away from any discussion that a client initiates around that. Jonathan Singer: So there's this experience, 9/11, Hurricane Katrina, there's Primary Trauma, there's a Shared Trauma and if I'm thinking about these agency Social Workers who are asked to come back from Hurricane Katrina while they were still dealing with their own stuff and provide services. How do agencies respond or understand this idea of Shared Trauma? Carol Tosone: Well, what was fascinating comparing the population I looked at in New York to New Orleans. In New York, we captured a different group we tended to get the therapist in private practice, who were more Midtown or Lower they had a higher income and in New Orleans most of the therapists were more agency based and what happened is actually in both samples they were actually angry that they felt the professional organizations didn't do enough to take care of the clinicians, they didn't do enough to educate them about trauma and they were angry that they didn't serve a more useful hands on function. But, especially in Hurricane Katrina what we found was that people were angry with the agencies that they let them down because the expectation that they should be working and helping others while they were going through the trauma, they felt that they weren't really taken care of. I'd use the analogy of a professional holding environment, they were not holding their clinicians well and interestingly these clinicians experience higher levels of shared trauma than those in New York. Both because of the repetitive nature of hurricane season year after year, but also the fact that professionally they were not being held properly. Jonathan Singer: Wow, that's a really interesting idea. So you're saying that agency could reduce the trauma for the providers by being a more supportive, safe place for them. Carol Tosone: You know I think Shared Trauma has a lot to say theoretically, clinically. But on a policy level and a program level I think it has a ton to say in terms of what functions our agencies and our professional organizations need to serve in these instances and their membership, their employees are also their clients in this sense because they can only help people as much as they're being helped themselves. I think it really says a lot about what they need to offer in terms of self-care, allowances for different things, so that's on that level. On a theoretical level, it gives new meaning to the term Relational Practice, be it Relational Social Work or Relational Therapy because it's not only, there is some hierarchy but it really is an equal experience, it's an equalizing experience, there's always some sense of hierarchy but equalizes things. Jonathan Singer: So you mentioned that there's a difference between 9/11 being a one-time thing and then in New Orleans, obviously, Hurricane Katrina was a one-time thing but they have hurricanes so there's this more ongoing event, but it's season by season. I know that there are parts of the world where there are traumatic events happening all of the time, I am thinking war zones and places like that. Is the concept of Shared Trauma useful concept in a place where there is this constant shared trauma? Carol Tosone: Absolutely, and this is not a term that I necessarily coined. This is a term that's strikingly, independently, myself and a number of other people had used post 9/11 and as well in Israel they used a related construct called Shared Traumatic Reality and it's very pertinent and I’ve been there. I've taught at Sapir College, right on the border of the Gaza Strip, where they at times can have, just a week or so ago, they had something like sixty missiles that entered their town, right by the College and you never know when they're going to come and you have fifteen seconds to find shelter and they use the term Shared Traumatic Reality because what happens is every day at any time they have to be primed for trauma, they have to be primed that something can happen. So, for instance when I lectured I was told that I could not wear my little stiletto heels why, I had to wear flats so that I could run quick. You lecture in a bomb protected classroom, let's say we experience something we might run together if we're client and therapist. But what happens if the siren goes off and I'm the therapist and I say to you okay we got to go the bomb shelter which we have fifteen seconds to go to and you say no I'm tired of running I'm going to stay here. Look at that ethical quandary. Do you stay? Do you go? Do you help you client or do you just take cover yourself? Jonathan Singer: I'm listening to this and I have no idea. And this a question that people have to consider all of the time. Carol Tosone: Every day. They have to ask themselves those questions every day. Jonathan Singer: So what's the answer? Carol Tosone: There, well see that's the trick, there is no definitive answer around what to do. And what you do is on the times when it isn't happening you negotiate that and obviously you would need to go and protect yourself. But, here are people that are busy taking care of others continuously while they have a threat hanging over their head as well. And so I give tremendous credit to them and there's three colleagues in particular that I have collaborated with who are on the vanguard of this, Rachel Dekel, Nehami Baum Orit Nuttman-Shwartz, who is also a dear friend so these are people I now worry about and care about on a daily basis. So when I'm busy writing about the importance about my 9/11 experience it pales by comparison to what they live every day and every second. Jonathan Singer: So there seems to be a conceptual difference between Shared Traumatic Reality and Shared Trauma when I hear it, I think reality, like this is our everyday day to day reality. Carol Tosone: Absolutely and it's interesting because what it does that you see is it brings about a certain dissociative element in one's everyday living experience. So, if we are sitting right now in Israel, we can be having a conversation, we hear a loud noise and you and I might react very strongly because we both on one level we're sitting enjoying the experience but then our perceptions are called to action our fight flight response in a nanosecond will kick in, yet in a dissociative way able to enjoy day by day simultaneously having this level of awareness this alertness if you will ready to go at any time. Jonathan Singer: I wouldn't ever want to say people should go into a war zone, because it will make you a better person, but certainly you hear people talking about how they've grown from these experiences. Is there any benefit of this? Carol Tosone: I think imbedded in what you're asking me now is really can people grow from trauma? Which is really post traumatic growth, Tedeschi and Calhoun's construct which is absolutely wonderful. Certainly people grow from trauma, we know that that can happen. And it was actually very touching what a number of my respondents had wrote about how they changed their lives because of 9/11. Jonathan Singer: Does it have to be an intentional process? Carol Tosone: No, not all. It's more of an automatic process because people have permanent alterations often times in their sense of self and others, you know, that's what happens, but also you can see the growth and the sense of community that can occur and also it gives you an opportunity to see the resiliency that kicks in that was striking about New Orleans they were very resilient and you might ask are they resilient or are they avoidant? Jonathan Singer: Okay that's interesting can you talk a little bit about the difference between resilient and avoidant. Carol Tosone: Well what we looked at with both 9/11 and Hurricane Katrina was we looked at the nature of people's attachment styles, insecure attachment styles, and what we found in New Orleans was that people were traumatized but it tended to be more around avoidant kind of trauma. So one could say that in New Orleans they're excellent at partying and enjoying themselves and could that be an aspect of avoidant attachment styles if you will, it's really just a hypothesis at this point, but certainly what we found is people who are more traumatized had more shared were generally less resilient. So there's an inverse relationship between trauma as well as secondary trauma and of course the composite construct of shared trauma and resiliency the more resilient you usually the less traumatized you are and vice versa it's almost like an inoculation effect. Jonathan Singer: Do you have any advice for Social Work students or educators around what to do, how to think about shared trauma, sort of what the importance of what this concept is and why it should be something people think about? Carol Tosone: Certainly, anybody that's been in an area impacted by floods, hurricanes, earthquakes, any other natural disaster, manmade disaster, and if you think about it with global warming, climate change, increasingly more and more people are practicing in these types of environments. So to be mindful of that, they are going to be primarily impacted the more they're aware of it, the more they are taking care of themselves the better they can help others. I always say that I can summarize how you really protect yourself from it with three words: Have a Life. If you have a life that will inoculate you from the impact of the demanding although rewarding work, we do every day. As well as how we ourselves as human beings are impacted similarly like our clients. We go through the same life events as they do. Jonathan Singer: Well, Carol. Thank you so much for taking the time and talking with us here today on the Social Work Podcast about Shared Trauma. Carol Tosone: My pleasure. Thank You. Jonathan Singer: I'm Jonathan Singer and thanks for being with me today for another episode of the Social Work Podcast. If you missed an episode or have suggestions for future episodes, please visit www.socialworkpodcast.com. If you'd like to support the Podcast, please visit our online store at www.cafepress.com/swpodcast. 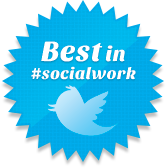 To all of the Social Workers out there keep up the good work we'll see you next time at the Social Work Podcast. Transcription generously donated by Raashida M. Edwards, LMSW Couples Therapist, Institute for Contemporary Psychotherapy New York, New York. Carol Tosone, Ph.D. is Associate Professor at New York University Silver School of Social Work and recipient of the NYU Distinguished Teaching Award. 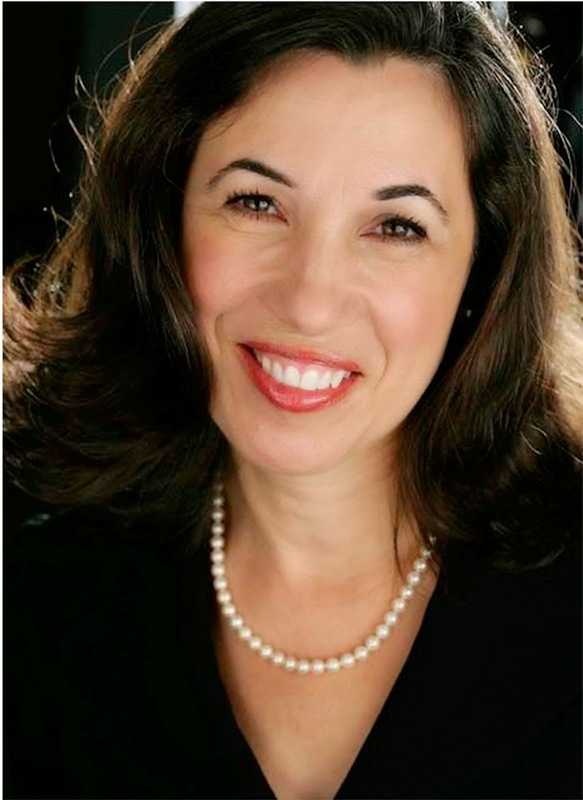 Dr. Tosone is a Distinguished Scholar in Social Work in the National Academies of Practice in Washington, D.C. She completed her psychoanalytic training at the Postgraduate Center for Mental Health in New York City where she was the recipient of the Postgraduate Memorial Award. Dr. Tosone received a Fulbright Senior Specialist Award for teaching at the Hanoi University of Education in Vietnam, and also served as a visiting professor at Hyllum University in South Korea and Sanata Dhara University in Indonesia. She taught as Distinguished Visiting Lydia Rappaport Professor at Smith College for Social Work, and at the University of Pennsylvania Clinical Social Work Doctoral Program. Prior to her appointment at NYU, Dr. Tosone was Assistant Professor of Social Work in Psychiatry at Temple University School of Medicine in Philadelphia. Dr. Tosone is Editor-in-Chief of the Clinical Social Work Journal and serves on the editorial boards or as a consulting reviewer to six professional journals. Dr. Tosone is author of professional articles and book chapters, co-editor of 2 books, and executive producer and writer of educational and community service media. Since joining the NYU faculty, Dr. Tosone has delivered over 100 professional papers and presentations in academic, medical, and mental health settings in the United States, as well as international venues in Asia, Europe, the Middle East and South America. Bauwens, J. & Tosone, C. (2014). Posttraumatic Growth following Hurricane Katrina: Influence of clinicians’ trauma histories, primary and secondary traumatic stress. Traumatology, 20, 209-218. Tosone, C. (2012). Shared trauma. In C. Figley (Ed. ), Encyclopedia ofTrauma. New York: Sage Publishers. Tosone, C., Nuttman-Shwartz, O., & Stephens, T. (2012). Shared trauma: When the professional is personal. Clinical Social Work Journal, 40(2), 231-239. Tosone, C., McTighe, J., Bauwens, J., & Naturale, A. (2011). Shared traumatic stress and the long- term impact of September 11th on Manhattan clinicians. Journal of Traumatic Stress, 24(5), 546-552. Tosone, C., Bettmann, J., Minami, T., Jasperson, R. (2010). New York City social workers after 9/11: Their attachment, resiliency, and compassion fatigue. International Journal of Emergency Mental Health, 12(2), 103-116. Bauwens, J. & Tosone, C. (2010). Professional posttraumatic growth after a shared traumatic experience: Manhattan clinicians’ perspectives on post 9/11 practice. Journal of Loss and Trauma, 15(6), 498-517. Sage, M. (n.d.) The Sage Child Welfare Podcast. http://childwelfarepodcast.com.